It's Xperia day today as Sony goes official with three new phones at the CES 2018 in Las Vegas. 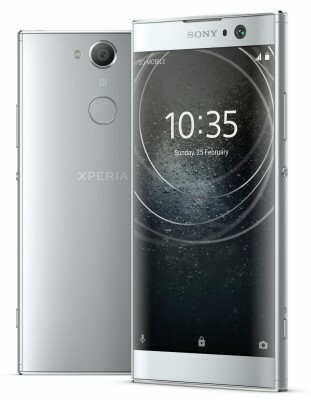 Two sizes of mid-tier handsets, the Xperia XA2 and Xperia XA2 Ultra, and the entry-level Xperia L2 usher in a new design language and a focus on endurance. The Xperia XA2 and XA2 Ultra come with a Snapdragon 630 chipset in charge of doing the math, replacing the Mediatek Helio P20 of last year's models - 14nm vs. 16nm silicon. The XA2 features a 3,300mAh battery instead of the XA1's smallish 2,300mAh unit, while the Ultra's power pack has grown to 3,580mAh (up from 2,700mAh). Oh, and with QuickCharge 3.0 you'd be able to fill those cells rapidly when they eventually do run out. The phones have inevitably gained some weight and some millimeters around the waistline. The XA2 measures 142 x 70 x 9.7mm and weighs in at 171g - that's 28g more than the XA1. Meanwhile, this year's Ultra is 33g more than the outgoing model and tips the scales at 221g, while the caliper shows 163 x 80 x 9.5mm. In the case of the XA2, there's more to it than just extra battery - it's gotten a larger 5.2-inch FullHD display to replace the 5-inch 720p panel of the XA1. The XA2 Ultra is the same 6 inches as last year (FullHD too), it doesn't have much room to grow. The Xperia XA2 has 3GB of RAM and 32GB of storage, which is expandable via microSD (hybrid slot on the dual SIM XA2). The XA2 Ultra gets 4GB of RAM and 32GB/64GB storage versions, and within that massive body Sony's found room for a dedicated microSD slot, even on the dual SIM Ultra. The Xperias have been redesigned, and while it's not night and day compared to previous devices, the differences are notable. 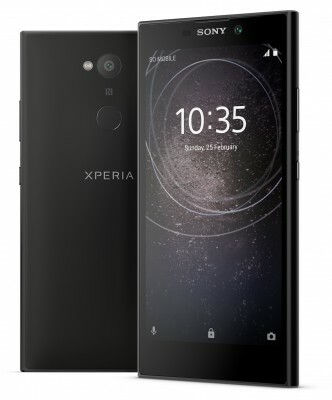 The main camera has been moved from the top left corner to the central axis of the back, in line with the fingerprint sensor - yes, Xperias now come with a rear-mounted always-on fingerprint sensor. And it will work in the US as well, finally. The circular OmniBalance power button retired with the Z5 generation makes a return. Cameras - the XA2 and the XA2 Ultra have the 23MP, f/2.0 primary cam from the last generation. It's the former flagship-grade unit replaced at Sony's top-tier with the current 19MP shooter. On the front both smartphones have an 8MP ultra wide fixed-focus camera to get all your friends in the frame. That's not enough selfie prowess for the Ultra, though - it also has a 16MP shooter with less extreme FOV, 16:9 aspect, autofocus, and OIS. The XA2 and XA2 Ultra will launch on Android 8.0 Oreo, with Sony's minimal customizations on top. Sony Xperia XA2 and Xperia XA2 Ultra will start shipping from February 2018 with pricing to be confirmed later on. And then there's the Xperia L2 - the unassuming entry-level Xperia, that grew out of the now defunct E-series. This year's model keeps the 5.5-inch 720p display of the predecessor, and there are no chipset upgrades either - it's the same Mediatek MT6737T. Sony has bumped RAM up to 3GB and doubled the storage to 32GB, so the L2 has nothing to be ashamed of in those departments. And if 32GB is not enough - there’s a dedicated microSD slot. 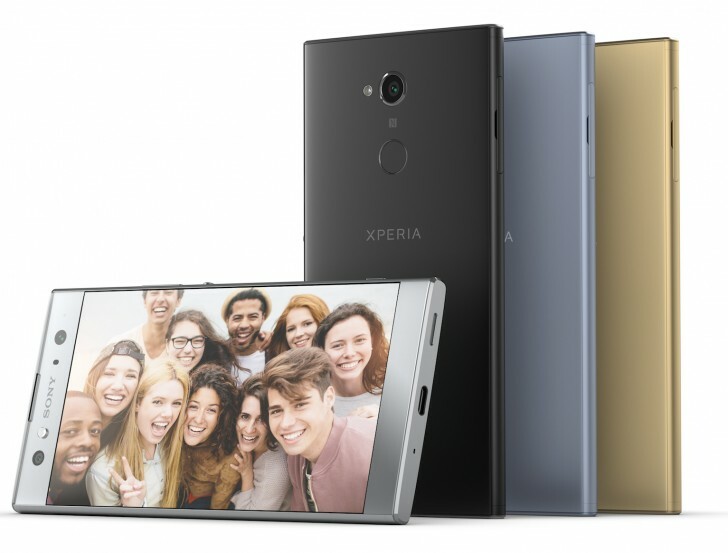 The Xperia L2 doesn't get the 23MP main camera of the XA2s, it's a 13MP shooter instead. On the front however it's the same 8MP ultra wide snapper you'd find on the XA2 models. Sony pulled no punches in the battery department and fitted a 3,300mAh power pack in the L2, up from 2,620mAh on the L1. No word on fast charging here, though. For all the extra battery capacity, the L2 hasn't gotten any heavier, unlike these other two - it's in fact 2g lighter at 178g. Making a debut in Sony's entry level offering is the fingerprint reader - same location as on the XA2s. And, unlike these other two, the Xperia L2 will boot Android 7.1.1 Nougat - there's only so much that can trickle into the budget segment, apparently. Sony Xperia L2 will hit the shelves in late January. No word on the pricing on that one either. We managed to spend some time with the three phones - make sure you read our initial impressions in the hands-on article we prepped for you.